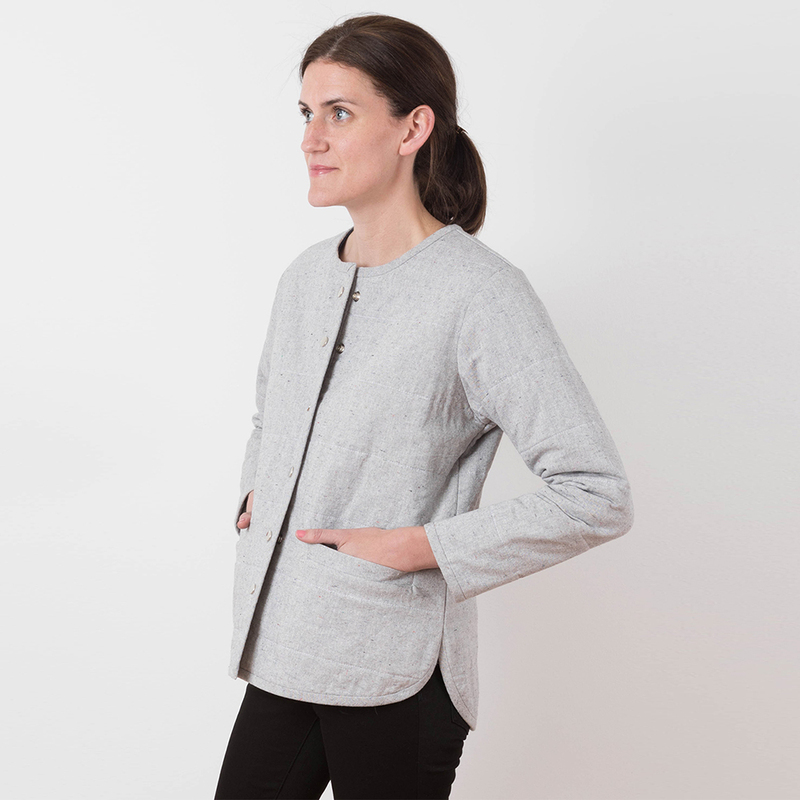 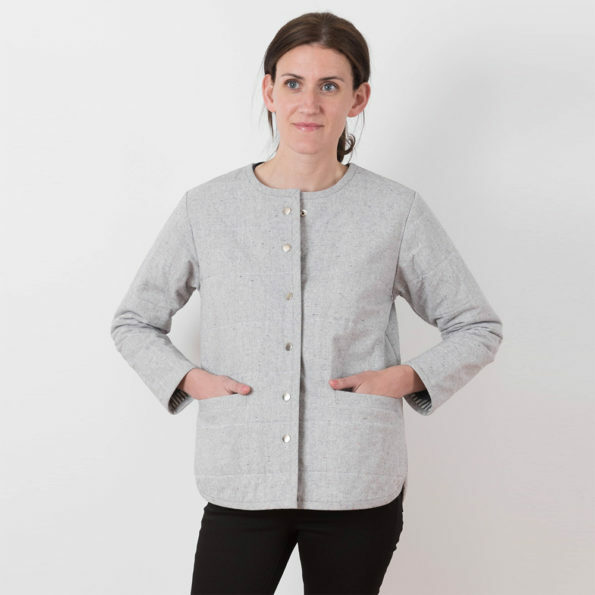 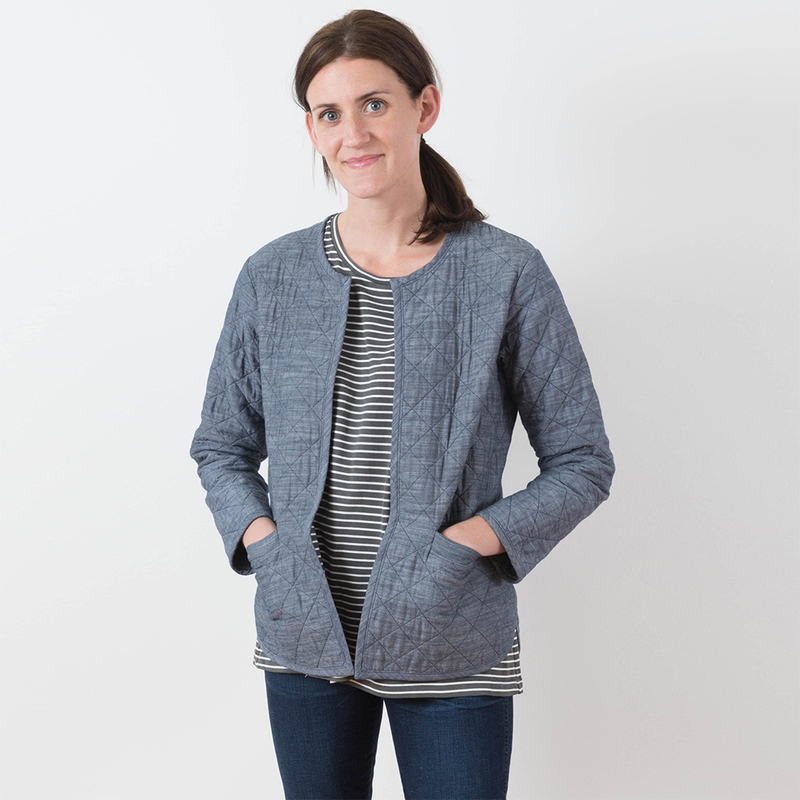 The Tamarack Jacket is a great piece for transitioning through the seasons. It is a warm and stylish quilted coat great for layering in spring and autumn. 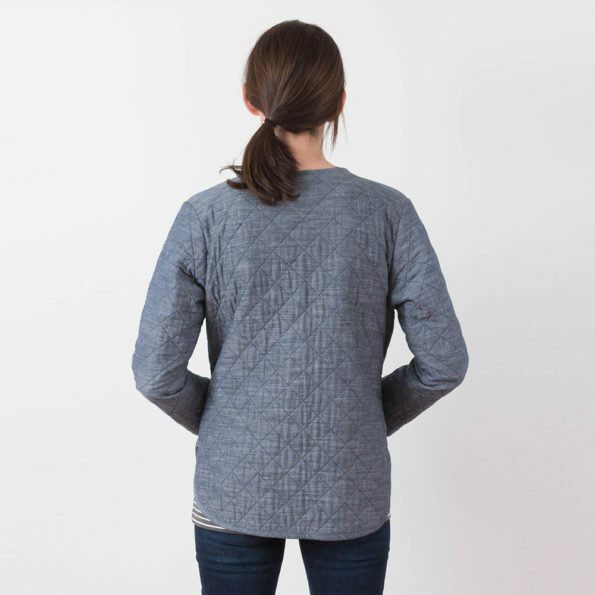 You can follow one of the two quilting designs included, or even design your own to make your Tamarack totally unique to you. You will keep warm (and stylish) with the inner layer of cotton or wool batting, while the roomy welt pockets will keep your belongings safe and your hands warm. 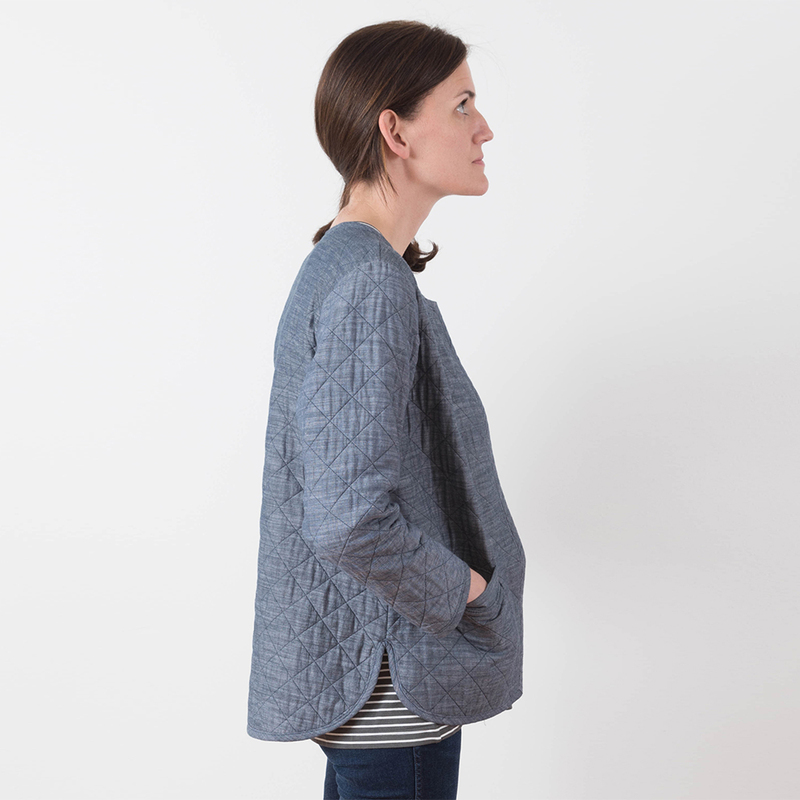 The paper pattern is a multi-size pattern and includes UK Size 4 to 22 (US Size 0 to 18). 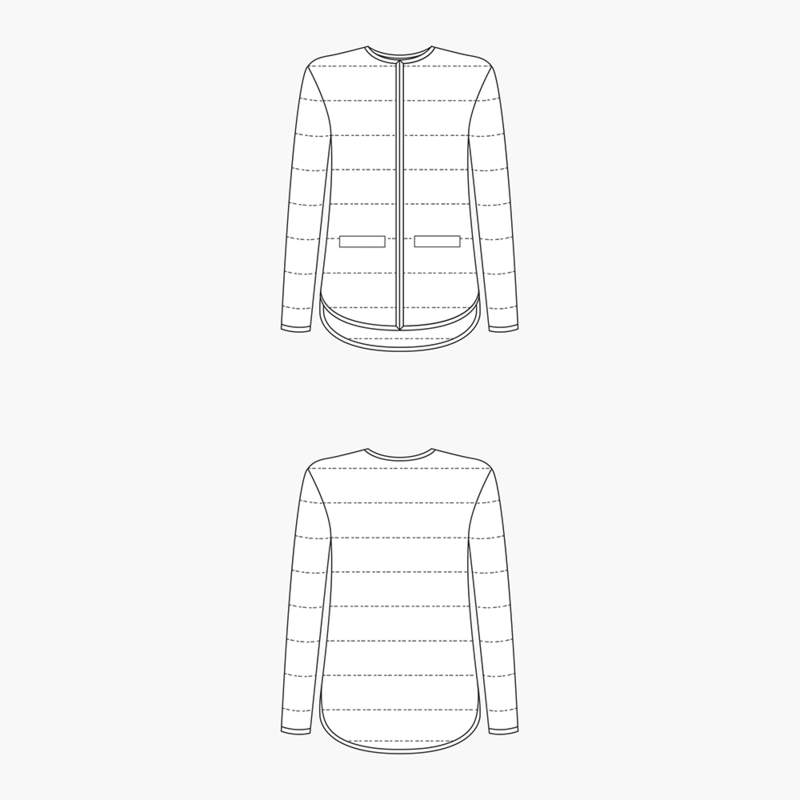 The pattern comes carefully packaged in an envelope along with a printed booklet with step-by-step sewing instructions. Seam allowances are included in the pattern. 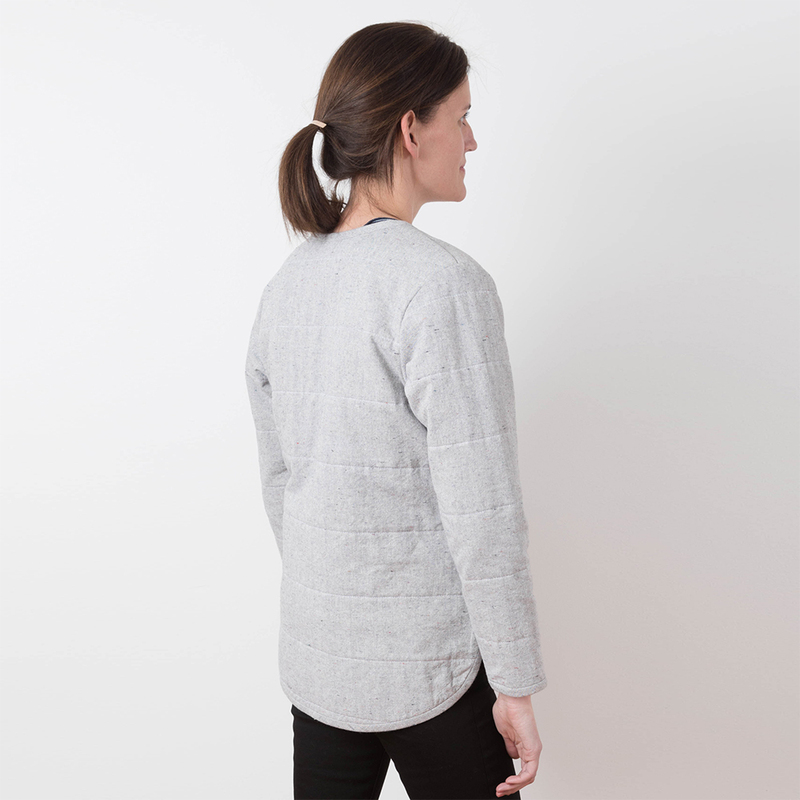 Light to medium weight woven fabrics; cotton, chambray, linen, cotton wax prints, cotton batiks.